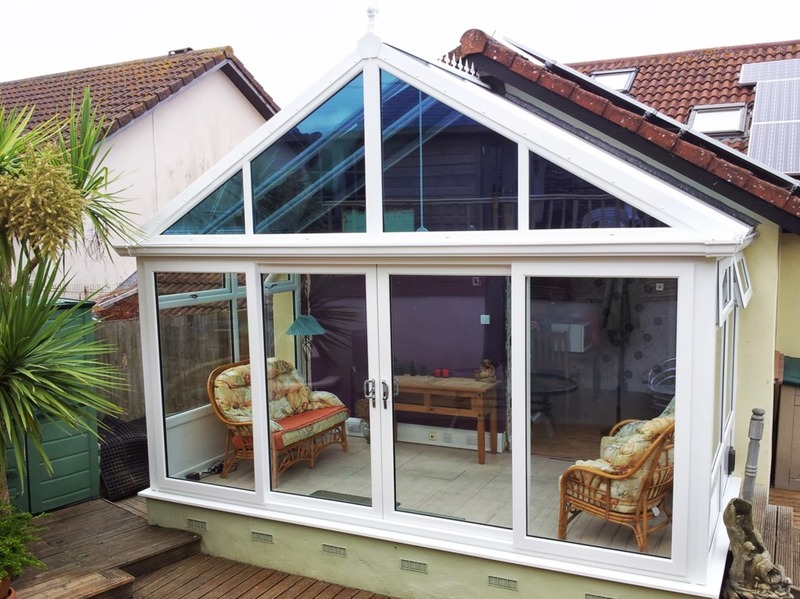 Whether you need a traditional or contemporary conservatory, we have something for everyone. 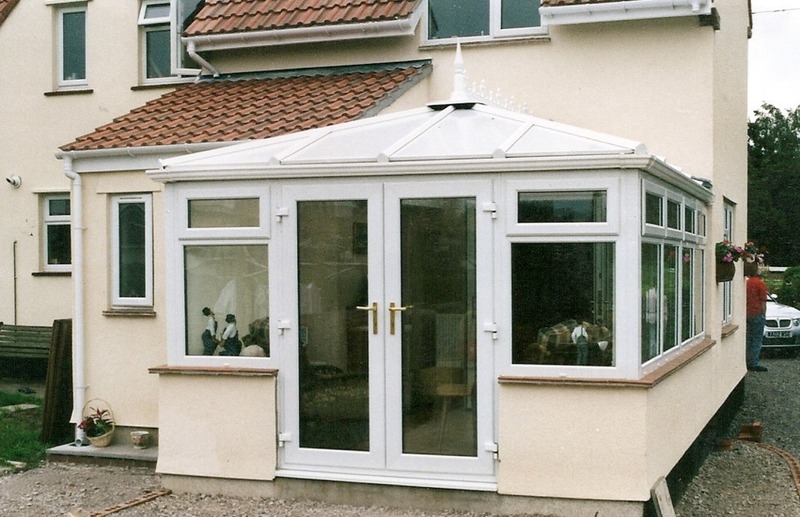 With over 24 years of experience, you can rely on us to create a conservatory that reflects your needs. 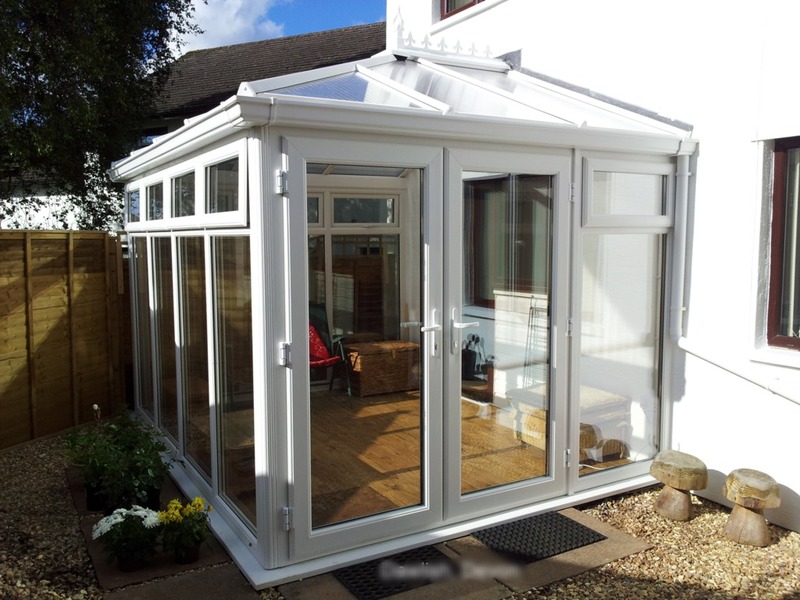 From the initial consultation through to final conservatory installation, we will run through the available options with you. And as all of our Conservatories are fully made to measure you do not have to compromise on size and styles. We employ our own building team so we can undertake all of the work from start to finish. Our services are available to customers in Teignmouth, Newton Abbot and all areas in the South West. There are different styles shown below, but have a look at the gallery at the bottom of the page for further ideas of what can be achieved. 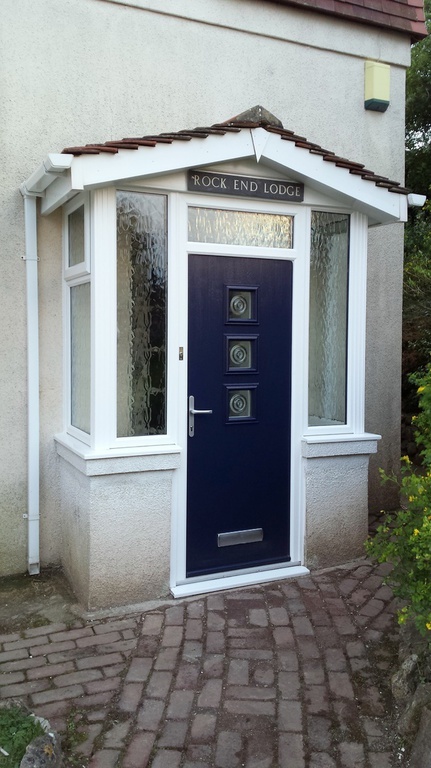 Porches are available in a wide range of styles and sizes with roofing from solid roofs as shown, flat roofs or the more conventional ones glazed with double glazed units or polycarbonate. Have a look at the gallery below for a few ideas. 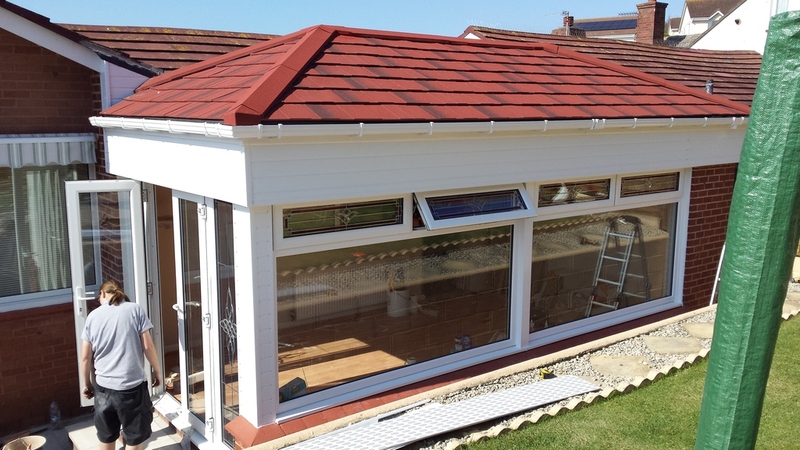 Sun Room Style is a sloping roof conservatory and is the most cost effective roof solution. 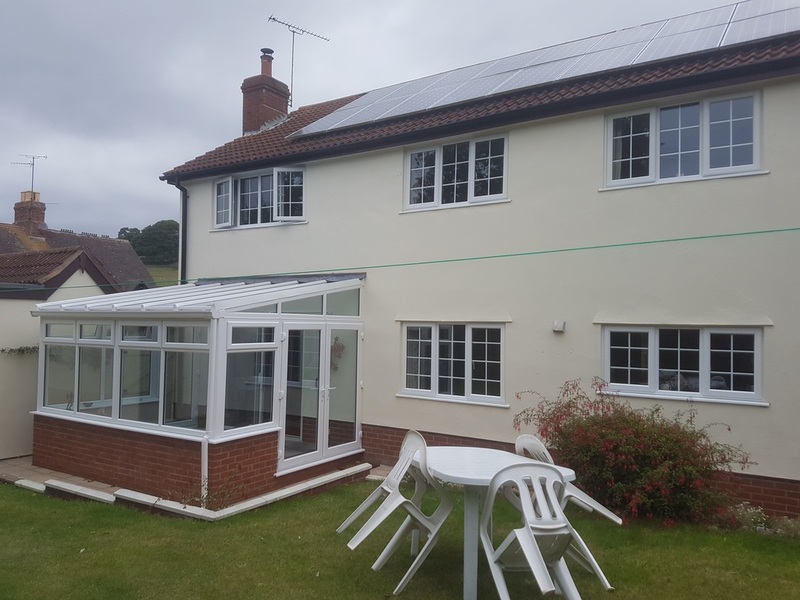 As with all styles, you can choose to glaze it with multi wall polycarbonate sheets, high insulating glass units or even a Supalite solid tiled roof. The side "cheese" can be glazed as shown or clad with white upvc. Victorian Style is what many people call the "50p shape." This is a stylish way of varying the look away from a normal rectangular shape, with the roof rising from the corners to create an airy feel. The cresting and finials on top can be deleted for a cleaner, more modern look. Edwardian Style is basically the same principle as the Victorian, but with the front corners squared off. The advantage of this style over the Victorian is that it gives greater internal space. 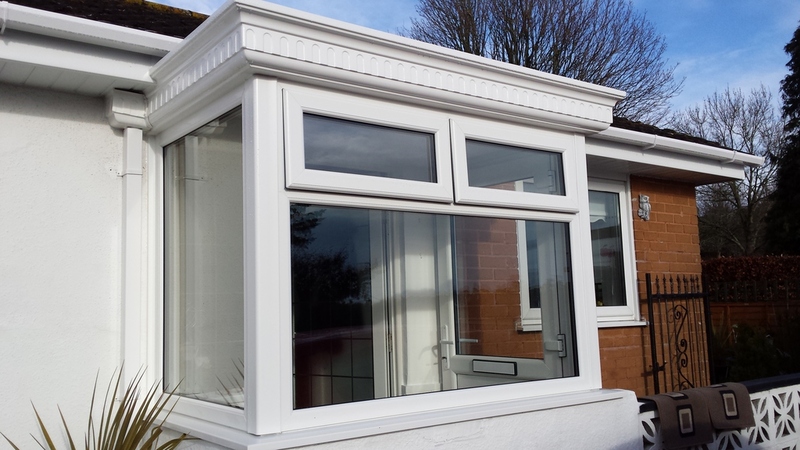 Gable Fronted Style extends the front of the conservatory into the air, giving a lovely open feel inside and a bold statement when viewed from the front. The triangular gable front can have vertical bars as shown here, or can have radiused bars to create a sunburst effect. P Shaped And Bespoke styles cover anything not shown above. As all of our Conservatories are completely made to measure you can do some unusual shapes and sizes, you can see a good range in the gallery below. The Conservatory on the left is a P shape with a Supalite solid roof incorporating roof windows. This roof type protects you from the extremes of temperatures often experienced with glazed Conservatory roofs.